This week´s Ask an Expert question was sent by Gloria, who’s expecting her first child. “Hi there! I am happy to have found your website! 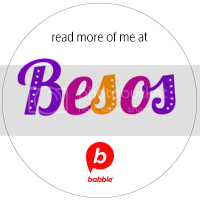 My husband and I are expecting our first baby and I want to know the best way to raise our child bilingual. Both my husband and I are Mexican, bilingual (he born in Michoacan, my parents from Queretaro but I was born here, both educated in California). 3. Those who speak Spanglish, ex: “Grandma, yo ‘stoy hungry, quiero food” or “ven mija para ponerte tus shoes”. Of all 3 situations, the one I struggle with the most is the last one, mostly because as I grew up my grandfather adamantly corrected me and would make me re-phrase it correctly. Also, I work as a substitute teacher in a school district where 89.1% of the children are Hispanic and notice how much Spanglish is being spoken in the playground among the children born here and even being adapted by the children going through an ELD program. I notice I am following my grandfather’s footsteps, but is that the best solution? I love your question! Mostly because the issues you discuss are the most common issues you encounter while raising children bilingually and probably the biggest challenge that prevents parents from raising bilingual children. I have so many friends that are giving up because their kids refuse to speak the minority language or mix languages – something that often scares parents. First of all, let me start by saying that it takes effort to get your child to speak two or three languages. This is because we live in a country in which English is the dominant, most prestigious, and most well supported language around our children. Since children become aware of this really early (my research would say as early as one year and ten months), they often tend to gravitate towards it, never learning, leaving behind, and in the long run, forgetting any other language that they have been exposed to. One way to avoid this is to provide, in the early years (0 to 5), a language environment that emphasizes the minority language. This can be done if the child is at home with you, he/she is taken care by a Spanish-speaking caregiver, or attends a bilingual or Spanish language preschool. Most importantly, in order for the child to learn the minority language, it is crucial that, during the early years, he/she is raised in a nurturing and stimulating environment where he/she can have plenty of interaction in this language and form an overall positive experience and connection with it. He/she also needs to see – on a daily basis – that this language is valuable, that many other people speak it, and that you are proud of him/her using it. Recall that the minority language is in a weak position with respect to the majority language, and it needs extra nurturing and attention (this is basically why so many children in the US who heard plenty of Spanish in childhood never learned it, refuse to speak it, or lose it). Once the child is in this position, he shouldn’t get into the “don’t want to speak it” trap, at least until adolescence (but that’s another issue – he/she won’t forget the language then). As for mixing languages, expect that early on, at least until age 3, the child will mix languages, even if you don’t do it. This is completely normal and harmless since the child is learning both languages and won’t know all words in either one. However, it is how you react to mixing that determines how much language mixing the child will do at later ages. If the child mixes languages or uses the “wrong” language with you (i.e. English if you use Spanish), do not just show understanding and move on with the conversation. Show to your child that although you might understand, you expect Spanish because this is the language that you speak. When the child is very young and says “ball” pointing to a ball, say something like “yeah, daddy (or grandma or Susie) says ‘ball’ but mommy says ‘pelota.’” When he/she is a bit older, ask him/her to rephrase what he/she is saying using only Spanish (yes, your grandpa’s strategy!). Of course you can’t force the issue because you want your child to enjoy talking to you. At the same time, if you do want him/her to eventually be able to really speak the language (fluently, not like a second language learner), then you must socialize him/her into keeping the languages separate from the start – Spanish at home and English outside, Spanish-only sentences and English-only sentences. This can be done fairly easily if, again, you adopt this strategy from the moment the child is born. It just becomes so natural to the child to use only one language with you, that language mixing is abandoned as soon as he/she has enough vocabulary and is even frowned upon by the child. I adopted this strategy myself and my daughters never, never address me in English. In fact, they get furious if I use even a single English word when talking to them (“don’t speak like that! !” – they scream). However, they use plenty of Italian with their English-speaking father because he has always accepted Italian from them. The result is that at 5 and 3 and a half they are completely fluent in Italian but they still use sporadic Italian words in their English, especially the younger one. This tells you how important it is the way we react to language mixing. I really feel that it determines how proficient the child will eventually become in the minority language. 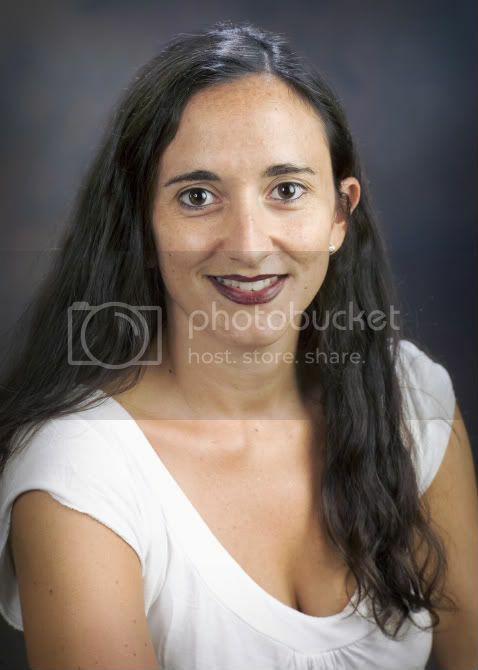 Simona Montanari – Assistant Professor of Child and Family Studies at California State University in Los Angeles. She is the department’s expert in early multilingual development and has a PhD in Linguistics from the University of Southern California. Simona is Italian and she’s also a mommy to trilingual daughters aged 3 and 4 1/2. In addition, she conducts workshop titled: “How to Raise a Bilingual Child” in the LA area. You can read her answers here. As always, feel free to leave your thoughts or advice about this in the comments below. You can also leave your own question for the Experts here. 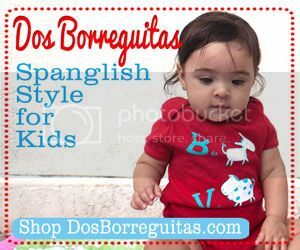 We invite you to visit our new sister site, SpanglishBabyFinds, where we review the coolest products made with Latino and/or bilingual kids in mind. There’s a giveaway every week! Ask an Expert:What language should I read to my kids in? What comprehensive and supportive suggestions Simona! You inspired ME to begin the Spanish only times in our home again! Great question and response! I have used all of those strategies and my children (4 and 2 y.o.) only speak Spanish to me. They do mix the languages sometimes, especially the younger one, because, like Dr. Simona said, they don’t know every word in both languages. I agree with Ana Gloria. I have also been using those strategies (without realizing that I was actually following a strategy!) with my kids (also 4 and 2,5 years old) and they only speak Spanish to me. I would like to say that consistency must play a big role. I work full time so I spend evenings and weekends with them and still they only speak Spanish to me. My husband is a stay at home dad and he only speaks English to them. I love your suggestions especially what to say when they use English (I say x, your grandma says y). It’s a great way to show them neither way is right or wrong but just to associate the language to who they are speaking with. I’ll definitely be using this technique! .-= Carla´s last blog ..Breathe, Be, Savor =-. 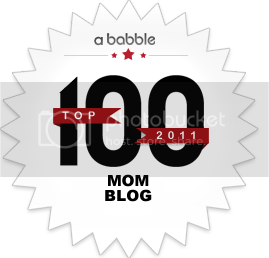 Hello, Thank you so much for your resources on raising a trilingual child. I have a few specific questions and concerns that are not covered related to language mixing and wonder what your thoughts are. My situation is this: I am a non-native Spanish speaker and I speak to my daughter exclusively in Spanish when we are alone (I am a stay at home mom) and I switch bewteen english and Spanish when my daughter and husband and I are together (my husband and I speak English to eachother) and when I am spending time with friends I try to continue to use spanish with her as well. But because I am speaking to my friends in English I tend to go back and forth with my daughter bewteen spanish and english. If I only speak spanish to her at home (I think this is what you suggest) is it enough and what if english speaking friends come to our home? I know consistency is key but it sometimes seems unnatural to speak spanish to her when everyone else is speaking english and no one else understands us. My husband speaks Polish to her and uses english and polish both when we are around english speakers and eachother. She is 2.5 and is speaking up to 5 word sentences that are a mix of all 3 languages and is only understood by my husband and myself. I know that mixing languages is a normal phase for bi and trilingials but I know this is a major crossroads for all of us and I want to be sure we are doing this right and that we get to the next ‘phase’ with the most success and ease as is possible. She barely speaks when she is around other children and I’m afraid she knows that they won’t understand her and I’m concerned that she is not trying to communicate. I don’t want other children to think she’s different or for it to affect her self esteem. She has a consistent caregiver 1 day a week in english and I’m considering a native spanish speaking babysitter. I have not been able to find anyone else raising their children speaking spanish. Also, we will soon be in Poland for a month and wonder if I should continue with my spanish there or if the polish immersion, spanish and english wil be overwhelming to her. Thank you for any advice you can share.